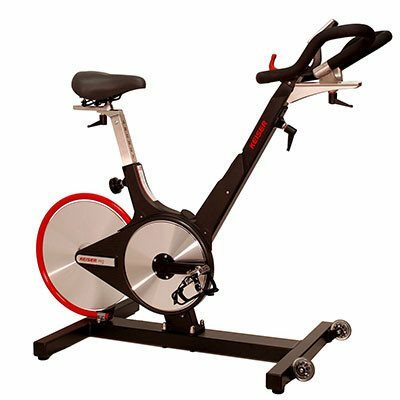 You will get a satisfying workout using the Body Break Indoor Cycle Trainer. 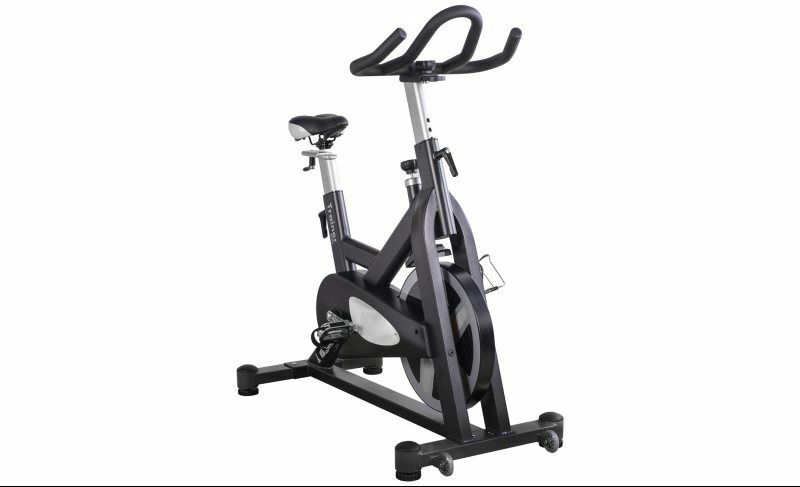 This indoor cycle features a heavy duty 40 lb flywheel, balanced pedals with toe cage and a contoured deluxe, two tone racing style seat. The transport wheels makes for easy storage when not in use. 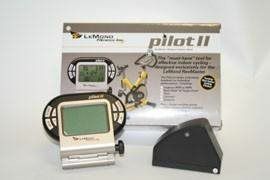 Great ergonomic design, simulates outdoor racing cycle movement, effective for training the lower body muscles. Enhances cardiopulmonary function, physical strength, endurance, and helps with consuming calories. Velo: VL-6100M Gel filled memory foam. The M3+ comes equipped with our new Fore and Aft Adjustable Handlebars, Backlit Display, and a factory calibrated resistance system. 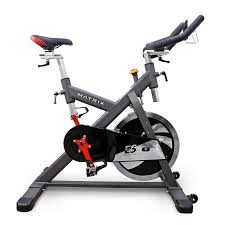 The Keiser M3 Indoor Cycle and Keiser M5 Strider are warranted to the original purchaser, to be free from defects in materials and workmanship for the following period(s), starting from the date of original delivery as evidenced by the appropriate shipping documents. • Loss caused by accident, abuse, improper use or neglect. • Improper assembly by the purchaser. Featuring a few upgrades on the already great base of a proven commercial spin bike. For maximum riding comfort, the new narrower crank design replicates the geometry of a great road bike. New Cam handles and increased adjustment ranges to seat and handlebars create the best custom fit available and gives you greater muscle involvement. The 4-way microfit also lets you cycle in an upright position or pedal stretched out and low, which is ideal for triathletes. Improved corrosion resistance by using electroless nickel plating and a new 2 piece bottom bracket cartridge make the RevMaster Pro even easier to maintain and service - with most components pre-assembled. This frame is more stable and allows fast, easy access to all seat, handlebar & height adjustments. This creates a comfortable, high performance custom fit for all users! Steel main frame undergoes a 17-step rust inhibitor process prior to durable powder coat process.Designed for easy transport! A rock-solid construction and the extra-wide base ensure outstanding stability.Traditional handlebar design which allows multiple hand positions and ease of use - does not accept Lemond RevMaster Pilot. 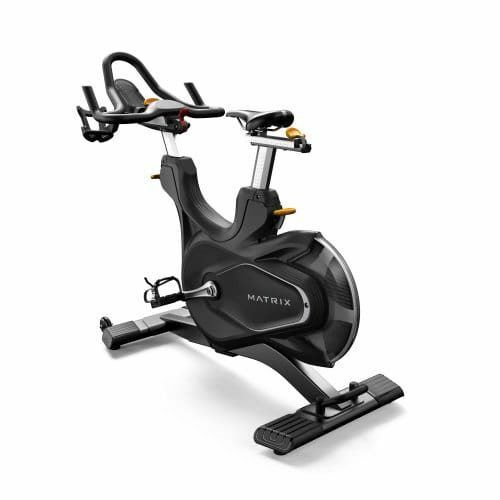 Anatomically designed, ultra comfortable saddle, that provides proper support for indoor workouts.The numbered dual position seat slider for fore/aft fit provides more than enough range to properly fit almost any person, regardless of height. Suggestion: A taller person may want to use the front hole of the slider, which enables this saddle to be moved further back. Q Factor 155 mm / 6.1"
Crank Type Forged steel 170 mm / 6.7"
Overall Dimensions (L x W x H) 122.4 x 56.4 x 102.8 cm / 48.2" x 22.2" x 40.5"
Product Weight 55.2 kg / 121.6 lbs. Max User Weight 158.75 kg / 350 lbs. 21 kg / 46 lbs. 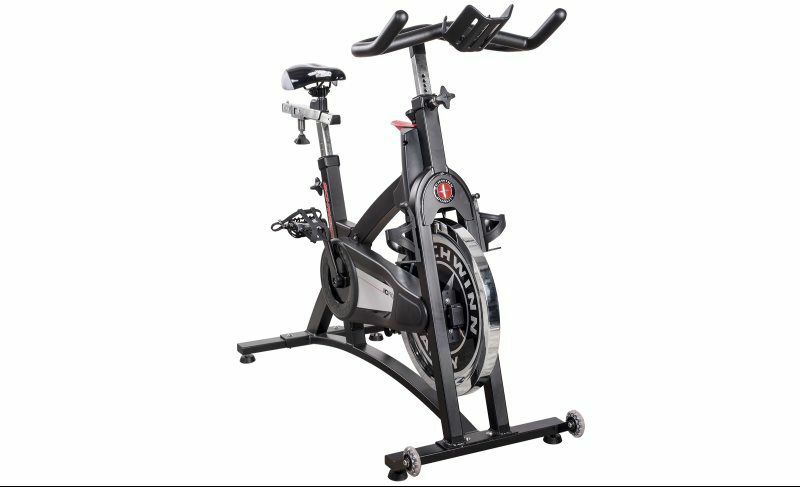 The Schwinn IC PRO20 Indoor Bike was designed to feel as close as possible to riding an outdoor bike. 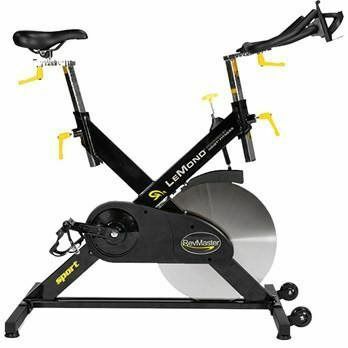 The smooth spinning action will help you tone muscle, burn calories and build up the workout mileage you desire with ease. The newest addition to the Schwinn® line combines the proven, authentic drive train of the IC Pro with updated features. All housed in a sleek, modern frame profile, finished off in a distinctive satin black finish. Who says function can’t be beautiful? 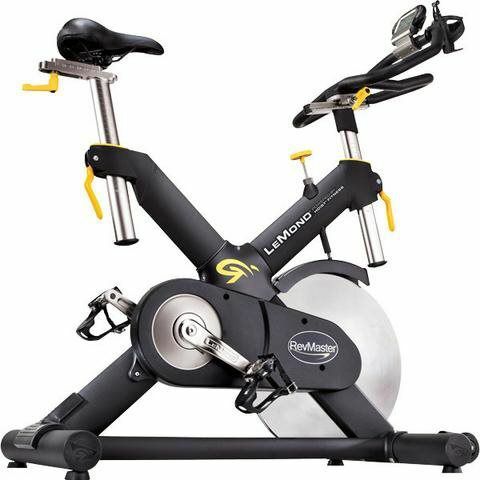 Schwinn cycles are among one of the top selling bikes for studio group cycling classes. 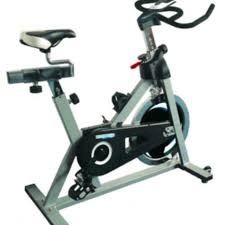 If you are looking for the commercial style, feel, and quality of the Schwinn bikes in your own home, take advantage of this amazing opportunity today! Designed to feel like the closest ride experience compared to an outdoor bike, the chain drive featured in the IC Pro20 allows for an authentic bike feel and easy maintenance. The perimeter-weighted flywheel with dual-pad brake technology allows for quality smooth spinning action. Our latest design simplifies proper rider setup. Micropin adjustments allow for the most accurate seat heights. Infinite fore-aft adjustments on the seat allow a wide range for proper positioning and comfort, with a neutral position that makes it simple for a beginner to get started in a proper position. With the new “aero bar” positioning, vertical adjustability, and even a small shelf to hold an MP3 player for instructors, the IC Pro20 is sure to deliver the best experience to all riders. These are one of the most well-thought-out handlebars we’ve ever created.